This ” Blog Income Report: How I Made Over $5,000.00 On My 8th Month Of Blogging ” is my 6th income report. I truly cannot believe that I would earn money through blogging. My intention in creating this blog was to simply chronicle and share my thoughts, experience, and a pinch of wisdom on personal finance. I didn't realize that my blog would grow fast in such a short time. As I said in my previous report, I am still testing things (i.e. write-up format, advertisers, and blog layout) to learn what really works best for my blog. Of course, in the process of doing this, I have made several blogging mistakes. This post contains affiliate links/ads. See disclosure policy. Welcome to my September 2016 income report. This is my monthly post where I show you how I made money, where the earnings came from, what I did and didn't do, what my triumphs and/or mistakes in blogging, and, of course, my monthly goals. 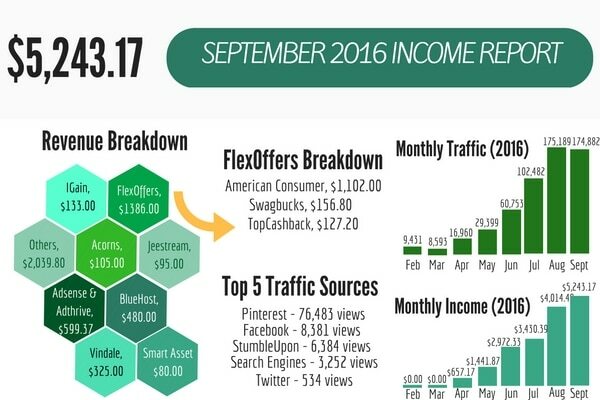 Before I show you my blog traffic and earnings for September 2016, let me tell you why I wanted to blog my income. Trials and Errors. Second, I’ve only been blogging for 8 months now and have had triumphs and failures (actually a lot) in those months. Almost everything you see in my blog is all of my doing. If you see something off, then, that's my doing. If you see something nice, then, that's my doing. If you consistently visit my blog, you’ll see that it keeps on changing and it has a lot of flaws. 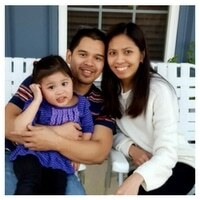 I’m still figuring out what works best for me and my site. Be one of the few who can start a blog for a special price of $2.95/month instead of the regular price of $7.99/month. That's 50% off of the regular price. This is a special price I negotiated with Bluehost just for my readers. You will get a FREE domain and a great customer service. Really, you are saving money when you use my link even before you publish your first post. That's a best a way to start your blogging journey. Reward. Third, I want to show people they can earn money through blogging. For those who want to start blogging, you will see a lot of posts stating it’s a scam. If you have not them yet, you eventually will. I tell you it is not a scam. I have earned at least $17K in 8 months just by sharing my thoughts on personal finance and experiences. Please don't get me wrong. Blogging can be rewarding but is not easy. You need to put in your patience, time, and dedication to make blogging work for you. If blogging were easy and you could earn money right away, then, everybody would be doing it. That said, you could earn money from blogging. I took a risk and paid $100+ to get my blog up and running. It paid off. I say that I earn a full-time income on a part-time hobby. I really don’t call blogging a job but more like a hobby. I believe my willingness, perseverance, commitment, and a ton of luck continuously help me with my blogging success. As my mom always say, it is not what you do but what’s inside you that help you become better. September 2016 is the best month for me for both income and traffic (sorta kinda for traffic because my traffic deep by less than 1% but still a decent amount of traffic). My blog income increased substantially from August 2016 and it’s only my 8th month of blogging. I have read a ton of posts about courses that show bloggers how to increase their income and traffic. However, many of these courses come with costs. I have seen a lot of bloggers who praise them and stated that they started seeing increased traffic and blog money after they adopted the lessons taught in these courses. I tell you that I am really tempted to jump in. But as hard-headed person as I am, I like to explore things on my own and/or try those FREE courses, first. It’s just the frugal, hard-headed person in me that’s talking here. I do keep in touch with my friends who have taken or are taking these courses and am consistently asking them for their honest reviews. For now, I’m good with the whole exploration and trial/test things for my blog. Here are the products and services I highly recommend for those who want to save money, make money, and better manage their finances. FYI, I do have ad networks included in this section. My Pinterest presence is really great. Since I started using it three or four months ago, I have gained a lot of followers every day. As of September 30, I had 8,536 followers. AOL. After a couple of days or weeks of filling out information for the AOL, I am now part of its Finance Collective. You can view my spot here. This past month, one of my posts entitled “5 Clever Techniques To Trick Yourself Into Saving” was republished. Follow-up. I followed up with people who needed help whatever questions they have. In general, when people ask me questions, I not only answer their questions but also offer help. I built relationship by doing this. Better yet, this assistance resulted into sign-ups for products that I promote throughout my blog. Posts. In the past month, I only published a few posts of my own but I should have published more. Some of the posts in September were guest posts. I took some more time off from blogging to focus on more important personal matters. Having said that, I was able to make more money without spending more time. 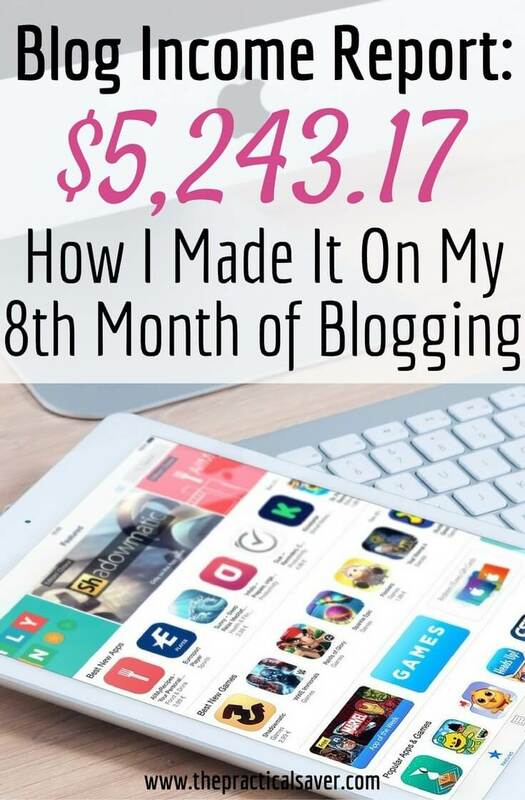 This proves you really can make money out of blogging. For the month of September, I had 174,882 views, which is a 0.18% decrease from last month’s 175,189 views. It would have been more if not because of my traffic report around the week of September 11th. I accidentally messed up my Yoast plugin, resulting in my posts not getting search in Google. I think that's the reason but I am not sure. I always believe in setting goals. Going through life, in general, without a goal is like walking on unending road without a foreseeable end in sight. The blogging goals I set for this August are both easy and challenging to achieve. Page views. I want to see 7,000 views a day, at least. Maybe it’s impossible to achieve it but I will try my best to make it possible. (Sept Goal: 7,000/day ; Result: 5,829/day) – Failed. Income. I want to double my income for September. Yes, double the amount it is. (Sept Goal: Double my May’s income of over $4,014.49 ; Result: $5,243.17) Didn't reach it. But, of course, I am more than happy to earn additional money. Email subscribers. I like to have 600 subscribers by the end of September. (Sept Goal: 600 ; Result: 503) – Failed but close to the target. Congratulations on achieving this level of success so quickly. It’s crazy that we started off around the same time and you’ve gotten so far with it. It’s motivating to know it’s possible. I really do need to work on Pinterest from the looks of it. You’re getting so many of your page views from there. I’m going to look into that free trial of tailwind. Are you planning to keep working now? Or going to blog full time? Thanks Graham. Yes, Pinterest is such as traffic magnet for me. Majority of my traffic comes from it and I am so happy with that. If you ever feel the need help on Tailwind, let me know and I will help you. I am going to share my tips and tricks on how to increase traffic based on my personal experience. It may be a week or two from now before I publish the post. Thanks. Awesome – I look forward to it! Looking forward to it too Allan. I have no idea why you are considering signing up for a course, you’re rocking it! Allan your figures and stats are amazing. I didn’t know it was possible to earn anything like this through blogging. Thanks for your open sharing. I’m sure you’ll encourage a lot of people. I look forward to your tips to come. I’d also be interested in your tips for non-Americans. I live in S.Africa, so many of our brands are different to yours. I’m sharing this on social media. Thanks. Please let me know if you need any help. I’m no expert in Tailwind but I can definitely give you my two cents. Congrats. These results are awesome. I love how you are so detailed on this. I’m in a completely different niche (flooring) and starting a 2nd website (marketing) and I can see many ways to search and reapply. I’ve been learning how to use pinterest better, but still have a ways to go. I started using tailwind Thanksgiving week, and I agree. I need to join/get accepted to more group boards…that is my issue (or opportunity). Let me know if you have any suggestions on this. I can see many large ones are closed now, and I’ve sent many requests. Part of the issue may be that the email addy on my acct is messed up (long story) so if they send the invite that way (vs on pinterest) I may not see it. I recently followed you (I think I’m listed as The Flooring Girl) and pinned this article. I then went to see all the groups where you shared it and sent requests to the ones that applied to me. (I didn’t send to the finance/money savings ones as that didn’t apply to me).